This Wellingtonia is quite a rare find! Most of these trees were planted by wealthy Victorians, in a frenzy of activity a few decades after their discovery in 1852. Since that period, they appear to have been largely forgotten by landscape gardeners, so good examples planted much after this time are hard to find - but this certainly is one. 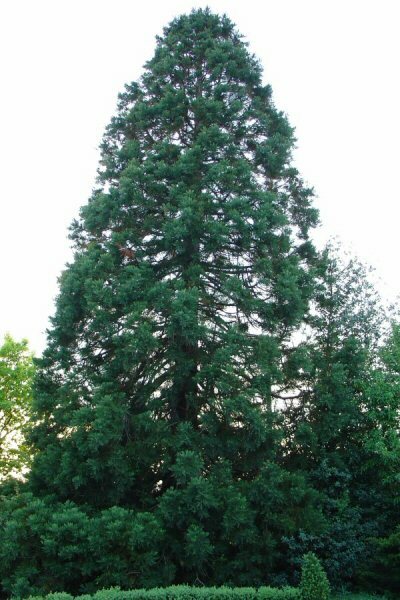 A fine specimen, perhaps around 50 years of age, this has the typical neat, conical shape of a young Wellingtonia which has had room to grow, with full, healthy green branches all the way to the ground. Definitely one to be seen by anyone who is trying to decide what tree to plant in that odd, empty corner of the homestead!